Alexandra Vasquez began her mission of dressing the world with her vision of fashion and style at her home back in 2011. She continues to spread her love of fashion to the world by expanding to a boutique and online store which is called ALX Couture. She is determined to provide a variety of the latest styles to everyone in the world and provide excellent customer service to all her clients. In 2013, Miami New Times and it's readers voted ALX Couture as the Best Clothing Boutique in Miami. 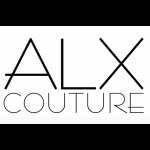 ALX Couture offers clothing, shoes and accessories for men and women. They have many different brands and designers that they sell and constantly have new items every week. The clothes that ALX purchases is very limited and exclusive which makes ALX very unique. ALX Couture travels all around the world to be the first to sell the latest styles. We hope to hear from you soon and we love to hear your feed back. Please do not hesitate to call us for any questions and concerns.